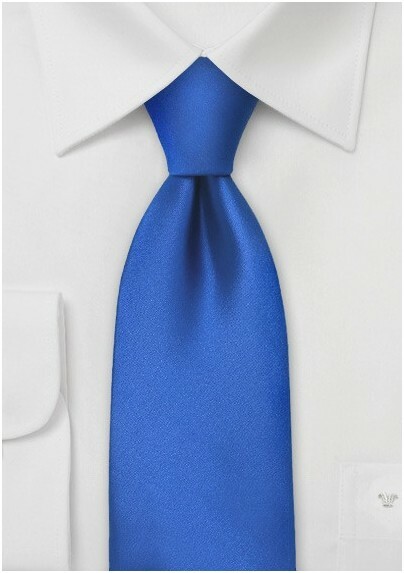 If you have been searching for a bright blue tie, then this will be the one for you. The bright and vivid blue hue in combination with the sateen fabric sheen makes this an instant attention-grabber. To match this tie we suggest either the elegant white dress shirt, or a trendy black shirt and black suit combination. 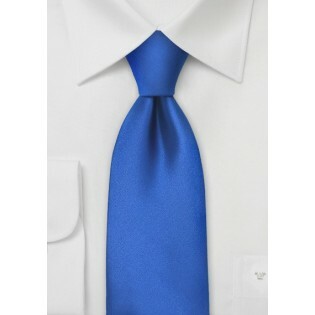 Please note that this exact tie is made in XL length of 62 inches - perfect for men taller than 6 foot and 3 inches.